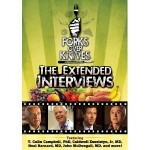 Following up on one of the most influential documentaries of all time, Forks Over Knives, comes Forks Over Knives–The Extended Interviews. This video includes never-before-seen footage from the film’s expert interviews, covering several themes in greater depth and addressing important issues that weren’t touched on in the movie. Why are some vegetarian and vegans unhealthy? 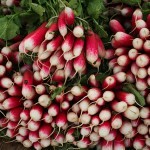 Is a healthy vegan diet easy to follow? Oil, fish, supplements, and more! Featuring leading experts T. Colin Campbell, Ph.D., Caldwell Esselstyn Jr., M.D., Neal Barnard, M.D., John McDougall, M.D., Pam Popper, N.D., Doug Lisle, Ph.D., and Terry Mason, M.D., Forks Over Knives–The Extended Interviews is must-see viewing for anyone interested in the powerful relationship between food and health! “The Botany of Desire” Flowers. Trees. Plants. We’ve always thought that we controlled them. But what if, in fact, they have been shaping us? Using this provocative question as a jumping off point, The Botany of Desire, a two-hour PBS documentary based on the best-selling book by Michael Pollan, takes us on an eye-opening exploration of our relationship with the plant world – seen from the plants’ point of view. “Forks Over Knives” The feature film Forks Over Knives examines the profound claim that most, if not all, of the degenerative diseases that afflict us can be controlled, or even reversed, by rejecting animal-based and processed foods. The experts in Forks Over Knives advocate a whole-food, plant-based diet. The program is based on whole or minimally processed plants, primarily fruits, vegetables, whole grains, tubers, and legumes. It excludes or minimizes animal-based foods such as meat (including poultry and fish), dairy, and eggs, as well as refined foods like bleached flour, refined sugar, and oil. “I Am” (The Shift is about to Hit the Fan) Shadyac interviews scientists, psychologists, artists, environmentalists, authors, activists, philosophers, entrepreneurs, and others in his quest for truth. Bishop Desmond Tutu, Dr. Noam Chomsky, historian Dr. Howard Zinn, physicist Lynne McTaggart, and poet Coleman Banks are some of the subjects who engage in fascinating dialogue with Shadyac. “Finding Joe” We Must Be Willing to get Rid of the Life We’ve Planned So As to Have the Life That Is Waiting For Us – Joseph Cambell Finding Joe is an exploration of famed Mythologist Joseph Campbell’s studies and their continuing impact on our culture. Through interviews with visionaries from a variety of fields interwoven with enactments of classic tales by a sweet and motley group of kids, the film navigates the stages of what Campbell dubbed The Hero’s Journey: the challenges, the fears, the dragons, the battles, and the return home as a changed person.